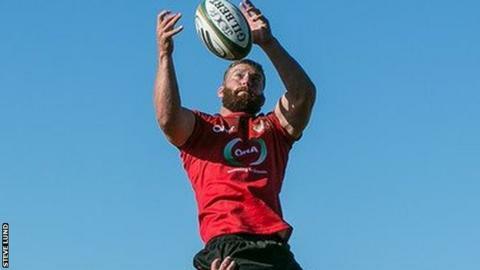 Charlie Butterworth has left Jersey and returned to his native Ireland. The back-row joined the Championship club on a one-year deal in the summer from Ulster, but has left for personal reasons after failing to settle. "Charlie made a useful contribution during the opening stage of the season," Jersey chairman Bill Dempsey said in a statement. "The club wouldn't wish to stand in someone's way in such circumstances and we wish him all the best."